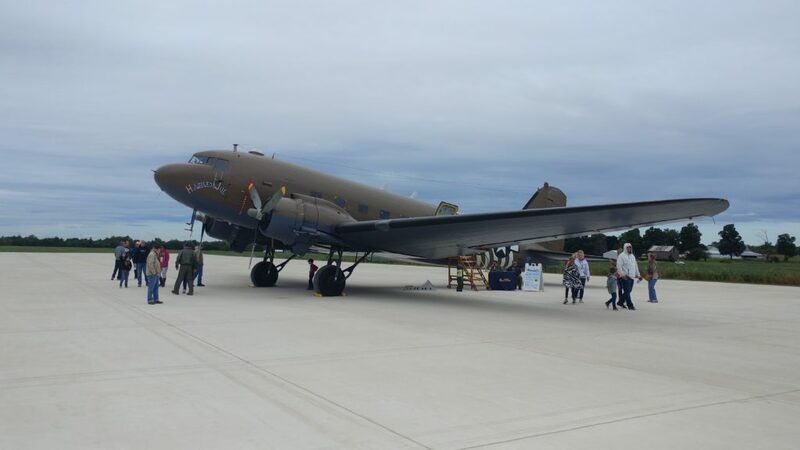 A plethora of planes descended onto the tarmac of the Hillsdale Municipal Airport Sunday for the airport’s annual fly-in breakfast. The 3rd annual fly-in included various fundraisers for local service clubs, a classic car show, and vintage plane rides. All of this was com­pleted with breakfast and lunch for pilots, hungry after a bit of flight time. Fly-ins have a long history at Hillsdale’s airport, but the event was changed a few years ago to coincide with Patriot’s Day. 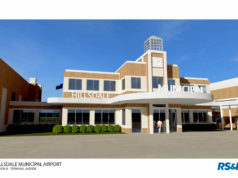 Airport Manager Ginger Moore said she has been going to fly-ins for years, even remem­bering when the airport opened in 1963. 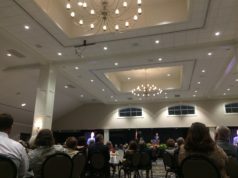 The National Exchange Club of Hillsdale County spon­sored the breakfast, which serves as a fundraiser for the various causes the club sup­ports. The Exchange Club decided to move the fly-in to Patriot’s Day in order to attract more planes to the event. The club chose Patriot’s Day weekend because it was a weekend with no com­peting fly-ins or other related events. 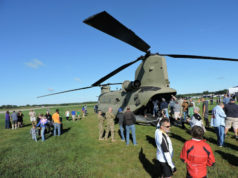 When the fly-in moved, it took on a mil­itary theme, which allowed the event to grow and evolve. The Exchange Club funded a display of white crosses, each with the name of a Hillsdale County res­ident who served in the mil­itary and passed away. The Jonesville American Legion also raised money at the fly-in, selling raffle tickets to benefit the number of orga­ni­za­tions they support, including Girls and Boys State and the Student Trooper program. Yankee Air Museum pilots flew down the museum’s Douglas C-47 Sky­train. The C-47 is a deriv­ative of the Douglas DC3. The plane’s pilot, Howard Rundell, has been flying with the museum for 11 years. The C-47 at the fly-in, the “Hairless Joe”, was built and delivered to the Army Air Corps in 1945. The “Hairless Joe” never left the United States, so it is tech­ni­cally not clas­sified as a war bird. The Yankee Air Museum acquired the air­plane in the early 1980s and restored it. The museum has been flying the air­plane to dif­ferent events since 1984. Private pilots flew in from around Michigan for the event. Private pilot Doug Neff of Pontiac, Michigan came for lunch. Neff bought his 1967 Cessna 182 four years ago this October. He got his private pilots license six years ago. Neff said he wished more people would get involved with flying. I earned my private pilots license back in the mid 1970’s, getting most my hours on a Piper Cherokee 140 that my brother and I owned. You flying folks are going to love this story, but I was renting a Cessna 150 for $ 16.00/hour ‘wet’ (instructor extra) and my brother was renting an aer­o­batic Citabria for $ 18.00/hour ‘wet’ at Three Rivers Airport in 1974/75. Those were the days, flying was cheap and planes for instruction were readily available. Those days are gone forever, they won’t come back again!